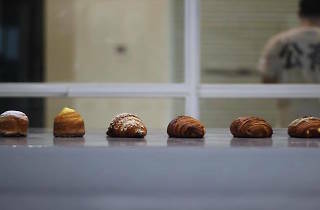 While Brotherbird is known for its mochi-donuts and house-made soft serves that changes flavor on a rotational basis every month, it has also since made a name for itself as Singapore’s first bakery to offer artisanal mochi croissants and cruffins (croissants + muffins). In fact, they are so popular that you need to make reservations the week before you can get your hands on these baked goods. 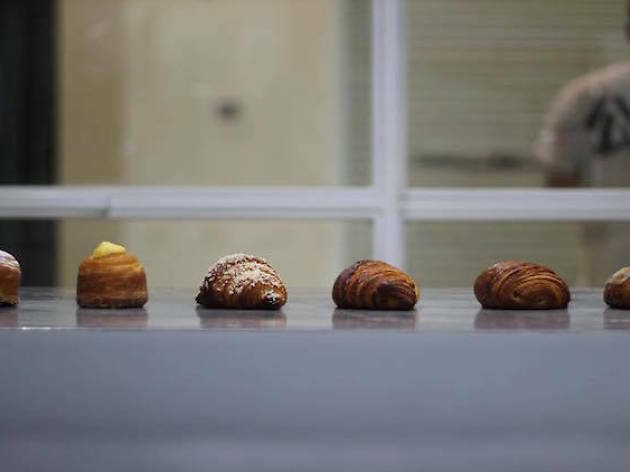 While the flavours available are on rotation every two weeks, some have already made their way into our hearts as crowd favourites – Kinder Bueno mochi croissant, Matcha White chocolate mochi croissant, and the Lemon Meringue Cheesecake mochi cruffin. Within the crispy golden crust of each mochi croissant lays multiple layers of soft, fluffy and chewy consistency, best-eaten warm.